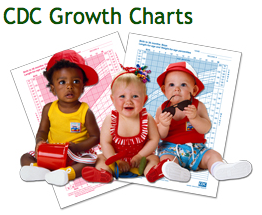 Previous research shows children born to mothers who used marijuana during pregnancy are more likely to develop behavioral problems as well as learning and memory impairments. The new research confirms those findings, pinpointing how the drug alters intricate nerve connections in the hippocampus — the brain's center for learning and memory. Researchers hope understanding exactly how marijuana affects these brain connections could one day lead to therapies to reduce the damage. "The findings from this study will serve as an excellent premise for future interventions to restore memory in children exposed to cannabis during pregnancy, and for the first time, identify a specific mechanism by which learning and memory impairment occurs and how this impairment can be ameliorated," says Priyanka Das Pinky, a graduate student in the laboratory of Vishnu Suppiramaniam PhD, associate dean for research and graduate programs at Auburn University in Auburn, Alabama, USA. Pinky will present the research at the American Society for Pharmacology and Experimental Therapeutics annual meeting held April 6-9, 2019 in Orlando, Fla.
"Based on our research and the previous existing findings in the field, it can be said that using marijuana during pregnancy would not be a wise choice. 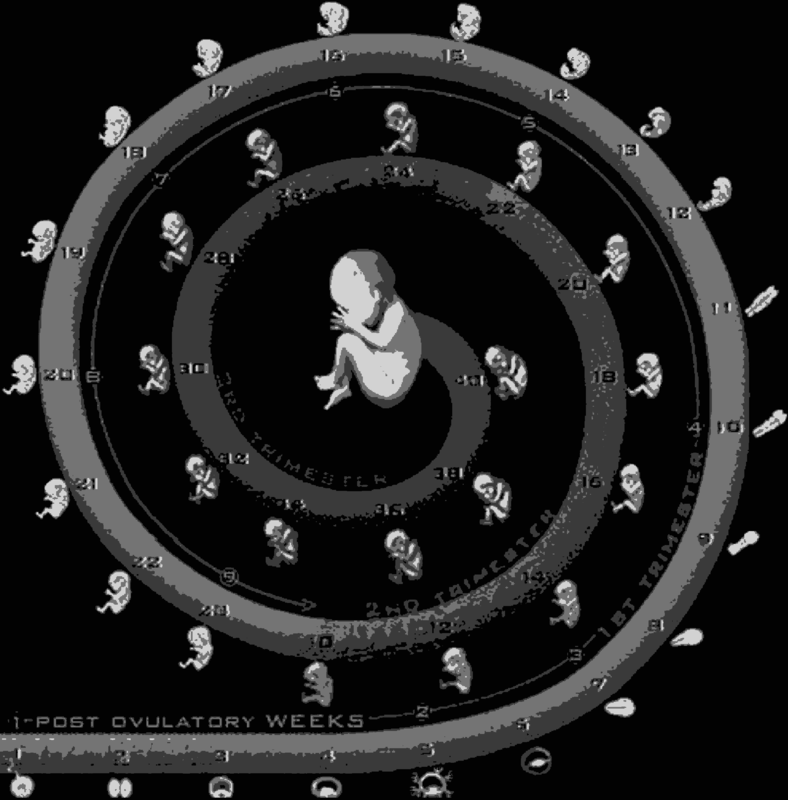 However, it is also notable that the observed effect in the offspring can vary according to (1) their age and according to (2) the trimester during which they were exposed to the drug as well as (3) dose and (4) route of administration." Priyanka Das Pinky PhD, Bachelor of Medicine, Bachelor of Surgery (MBBS), Harrison School of Pharmacy, Auburn University, Auburn, Alabama, USA. The research team raised several groups of rats and while they were pregnant, exposed some females to a synthetic chemical which activates the same proteins as cannabis. They used a moderate-to-heavy dose of marijuana, just as used in humans. Examining the brains of baby rats, they found synapses between nerves in the hippocampus were reduced in those exposed to the synthetic cannabis. Upon further examination, researchers found evidence the root of the problem is a reduction in neural cell adhesion molecules (NCAM), a protein important for maintaining proper neural connection and synaptic strength. The findings suggest it may be possible to counteract marijuana's effects by increasing the NCAM, though more research is needed to understand the mechanisms involved and determine whether the findings, from studies in animals, would translate to human babies. "It is still very early to come up with a conclusion about the possible safe use of marijuana during pregnancy," Pinky explains. "More research is needed to evaluate the exact mechanism by which NCAM and/or its active form is modulating cellular effects while focusing on target specific drug development for amelioration of the observed cognitive deficits." 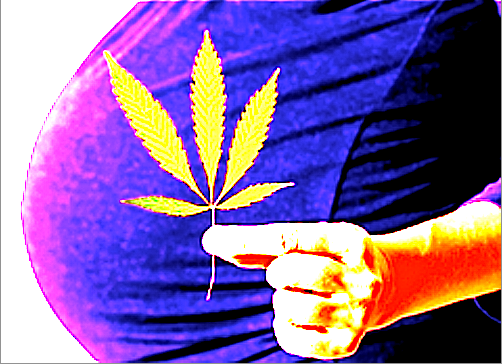 Cannabis use during pregnancy has increased by 62% from 2002 through 2014 and is now the most commonly used illicit drug during pregnancy, in part due to its ability to reduce morning sickness during pregnancy. Several studies have demonstrated that neural network activity which underlies typical cognitive and behavioral processes can be altered by prenatal cannabinoid exposure (PCE) leading to a long lasting effects on adult behavior. Here, we have investigated the impact of PCE in adolescent offspring in hippocampus dependent learning and memory via performing a series of behavioral, electrophysiological and immunochemical studies. An osmotic pump filled with either vehicle or the cannabinoid receptor full agonist WIN55, 212-2 (2 mg/kg body weight/day) was implanted subcutaneously in gestational day 4, which delivered the drug at a constant rate until the pups were born. Contextual Fear Conditioning and Morris Water Maze test were performed to investigate the hippocampus based memory revealing significant learning deficits in the PCE group. To investigate the mechanisms behind observed behavioral deficits, electrophysiological experiments were performed on acute hippocampal slices. Reduced long-term potentiation and enhanced and long term depression were observed in the PCE group demonstrating impaired synaptic plasticity. To identify alterations in the downstream signaling cascade involved in glutamatergic neurotransmission, immunoblotting experiment was performed. Immunoblotting data showed increased Cannabinoid Receptor Type 1(CB1) expression along with reduced Neural Cell Adhesion Molecule (NCAM) expression. NCAM is important for maintaining proper neuronal connections, and it modulates NMDA mediated glutamatergic neurotransmission. Based on our data, we hypothesize that a reduction in NCAM may be responsible for the learning and memory deficits observed in PCE animals and can be used as a therapeutic target to ameliorate the cognitive deficits in PCE offspring. Priyanka Pinky, Jenna Bloemer, Sharay Setti, Ryan Heslin, Warren Smith, Yifeng Du, Alexander Dityatev, Miranda Reed and Vishnu Suppiramaniam. With a growing number of states legalizing recreational and medical marijuana, more pregnant women are using the drug, in part for its reported ability to relieve morning sickness. Credit: Public domain.